One of the great benefits of making Pelican Beach your home-away-from-home on your Destin, Florida vacation is our location within the Destin area. There are few resorts who can offer you as much once you park your car! 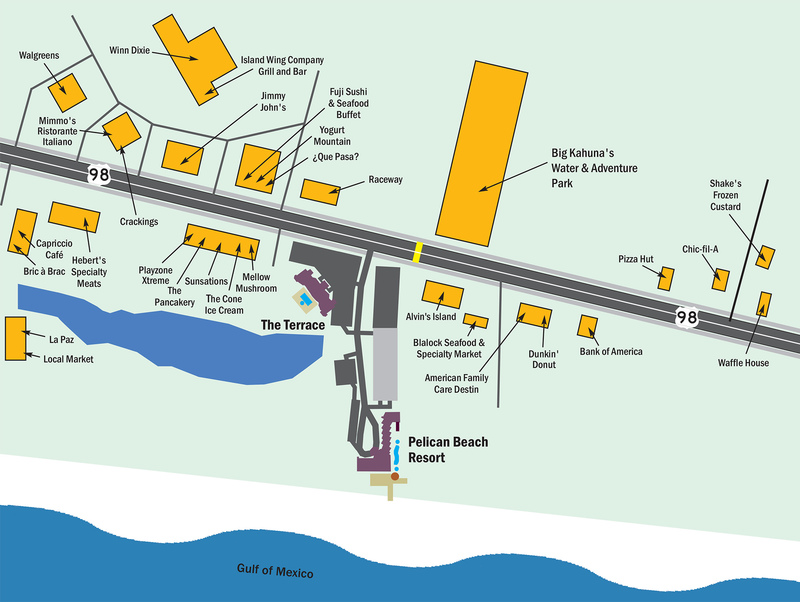 Pelican Beach is a walk-friendly resort with plenty of fun, dining and essentials within just a few blocks. Pleae the addition last year of a new traffic controlled crosswalk just out side our entrance allow easy access to the area's biggest family attraction, Big Kahuna's Water & Adventure Park. Check out a list of just some of the businesses within the immediate few blocks of Pelican Beach - just another benefit of vacations at Pelican Beach! Make your reservation with Pelican Beach Management when you want the most for your vacation! Select your vacation condominium from The Pelican Beach Premier Collection. The Pelican Beach Premier Collection is, simply, the best collection/selection of vacation condominiums at the Resorts of Pelican Beach. 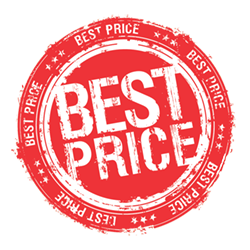 There is no other source for the largest selection of the best vacation condominiums at Pelican Beach.